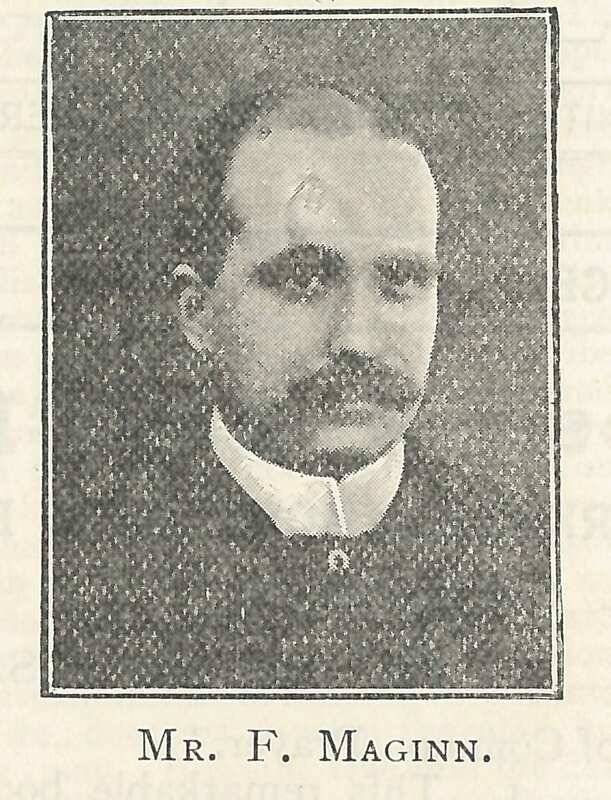 Many of the founders have been mentioned in this blog over the past few years, for example Sleight and Paul, but one motivating spirit we have not mentioned but who is deserving of recall, is Francis Maginn (1861-1918). 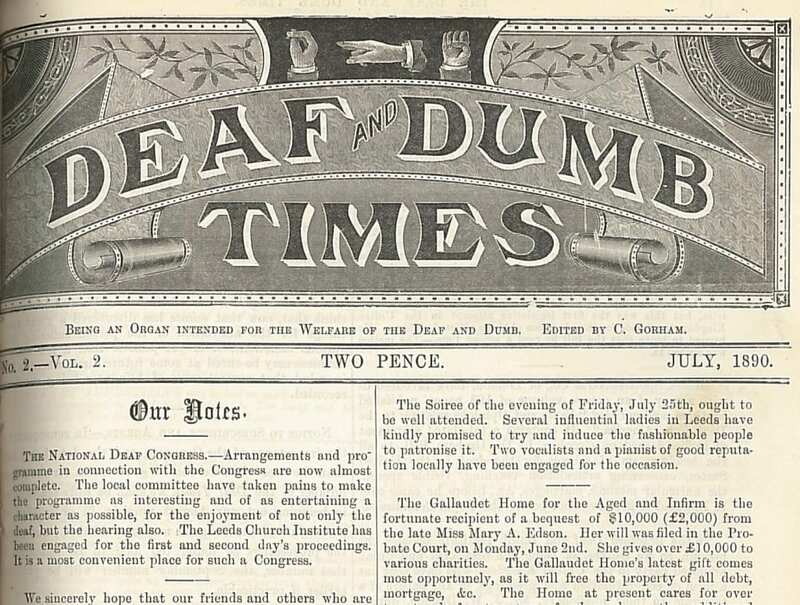 According to his obituary in Deaf Quarterly News, he was a descendant of ‘the Poet Spenser’. 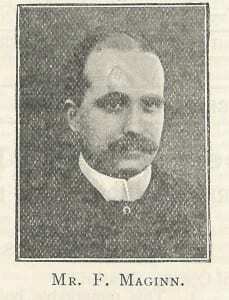 Maginn, who lost his hearing due to scarlet fever aged four, became a pupil, then later teacher, at the Old Kent Road Asylum for the Education of the Deaf and Dumb Poor, London. He was the fourth son of the Rev. C.A. Maginn of Castletowneroche, County Cork, and his uncle William Maginn was a successful journalist. He spent some years at Gallaudet College in the U.S.A., leaving when his father was ill, then became a missioner in Cork in 1885, moving to Belfast in 1888 ‘when the mission Hall was opened in College Square North’ (ibid). He remain the missioner there for the remainder of his life. Because of the way in which membership of the Association was allowed to include hearing people, Maginn did not get the leading position in the organisation that some consider he deserved, but became Vice-President. He married a hearing lady, Agnes Maclean, in 1898, but they had no children. He had a weak heart, and died on the 16th of December, 1918, aged only 57. Certainly no man is perfect, all are human and liable to err, but it may be truly said that if Mr. Maginn erred it was on the side of humanity. Few, if any, of his colleagues would deny that his life was entirely given up to the welfare of his people, and that his own wellbeing was but a secondary consideration. As an example of his forbearance it may be noted that in striving to settle a dispute he received a blow on the chest, from which it appears he never really rallied. Did he complain? Not a bit. Even his own wife was not aware of his having received such a blow, and it was only when he was taken seriously ill that the facts came out.